* Enjoy the party, but don’t overdo it. Eat slowly and really enjoy a few of the foods that are special to you this time of year. If you’re counting carbohydrates and calories as part of your plan, think about devoting your carbs to what you like best—and skipping the rest. For example, if you want dessert, cut back on foods such as dinner rolls or stuffing and “spend” your calories and carbs on that small serving of fruitcake (yeah right who likes fruitcake ;D ). Remember, moderation is key—so stick to small portions and skip seconds. * Bring your favorites. Offer to bring your favorite healthy dish to share. If you’re counting macros, check your recipe’s nutrition facts so you know how many grams are in one serving as well as the proper serving size. At some gatherings, it’s best not to mention a dish is “healthy” and let the flavour speak for itself; or perhaps the folks at your gathering may appreciate a card that notes the nutrition facts. Seriously, I just had the most delicious organic vegetarian cheesecake for my birthday and they all gushed on it’s awesomeness, most not knowing it was a healthier version. * Drink in moderation. 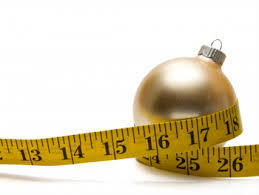 Alcohol can add significant calories to your holiday intake. Keep your alcohol consumption to no more than one drink if you’re a woman and two drinks if you’re a man. Avoid high-calorie mixed drinks that include sugary soda or juice. Opt for sugar-free mixers instead. * Stay active. Think of physical activities during the holidays as a chance to spend quality time with friends and loved ones. Use your extra time away from work or school to exercise—or to participate in a local holiday walk or run. Start a game of freeze-tag (get it? lol) with family in the yard or take a walk after eating. * If you overindulge, get back on track. If you eat more than you planned for, don’t think you’ve failed. Focus on enjoying the company of those around you. Then, the next day, get back on track by gifting yourself with healthy eating and regular exercise. * Focus on what matters. The holidays are a time to slow down and catch up with your loved ones, so remember to focus on your friends and family, not the food. Play games together, volunteer or spend time outdoors. Great memories don’t have to be made only at the dinner table. Apply the tips above for healthy, happy holidays … and a great start to new year ahead.